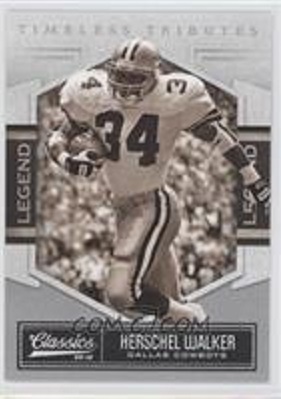 For a long time, the Trading Card Database did not have any cards listed of Herschel Walker for the year, 2010. 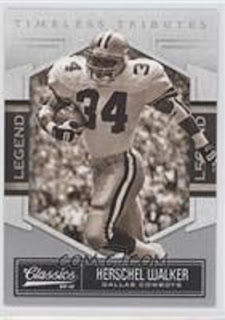 Then one time when I was checking out COMC, this card was listed in their sold out section. I contacted the good folks at the TCDB, and sent visual evidence of the card; and they created an empty space for it. I would love to fill that space, and add this card to the Hoard.